The Trump administration is reportedly developing plans for a new security and political alliance with six Gulf Arab states, Egypt and Jordan, in a bid to unite against Iran’s increasing presence in the region, according to Reuters. Washington is trying to strengthen cooperation between the countries on various fronts including missile defence, military training and counter-terrorism, as well as boosting regional economic and diplomatic ties, four US and Arab officials told the news agency. 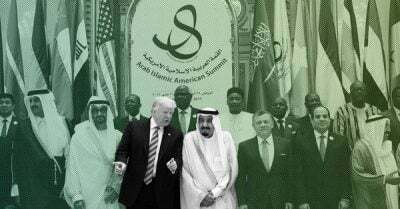 The plan to create what Washington and Arab officials have dubbed an “Arab NATO” of allied Sunni Muslim countries is expected to threaten already frosty relations between the US and Iran, who have clashed frequently since President Donald Trump took office. According to White House sources, the Trump team’s intention is for the plan, provisionally named the Middle East Strategic Alliance (MESA), to be addressed at a Washington summit between the eight Arab nations in question scheduled for October. The White House confirmed its plans for the security alliance had been ongoing for several months. The US, Saudi Arabia and the UAE strongly accuse Iran of destabilising the region, through generating unrest in conflict-stricken Arab countries through proxy groups. How the NATO-style alliance could immediately affect Tehran is unknown, however Washington and its Sunni Muslim allies have shared interest s in the conflicts in Yemen and Syria, in addition to protecting Gulf shipping lanes along which much of the global oil supplies are transported. Some also believe that the alliance may help overcome the Gulf crisis and foster reconciliation between Saudi Arabia, the UAE and Qatar.